As I’ve mentioned in a previous post, Chechnya has been kidnapping gay and bisexual men and detaining them in concentration camps. Approximately 100 men have been detained, and an estimated 3 have been murdered. When discussing this, several news sites (the Guardian, Daily Mail, Times, and yes, Breitbart) as well as people mention that it is a predominantly Muslim country. However, several people have been using this fact as a way to criticise Islam – a lazy way of getting a couple Islamophobic digs in while also caping as a supporter of the LGBT+ community. Such articles subtly conflate Islam with homophobia, a shallow analysis that harms the Muslim LGBT+ community. Religious texts are above all else interpretive – even scholars using a similar method, such as Biblical literalism, can end up with a broad span of answers depending upon what they focus upon. Faith doesn’t need to exist in opposition to the LGBT+ community – just as organized religion can be a tool to oppress, it can also be a tool to uplift and empower. Religion is, above all else, run by the powerful who impress their views upon the greater community, whether these are of tolerance, or of homophobia and sexism. Blaming Islam for the violent homophobia orchestrated in its name does the LGBT+ community a disservice, just as with blaming any kind of religion. Understandably, many of us LGBT+ folks are wary of religions, due to the overwhelming prevalence of homophobia disguised as gospel that threatens our lives. We certainly can be critical, and feel hatred towards people that use religion as a weapon against us, but religion can be reinterpreted in far more tolerant, and accepting ways. A further issue with linking homophobia with Islam is in the ways it allows (mostly white) people to distance themselves from their own homophobia. It’s far easier to feed into the image of the racialised, dark-skinned Muslim that is ignorant, violent, and backwards, than to look at yourself and how your own communities perpetuate homophobia. Perpetuating this view of Islam justifies the violence against Muslims, particularly Muslim women, that continues to this day. If you still have trouble squaring Islam with the existence of LGBT+ Muslims, you can take a look at the work of these people and get some insight into their experiences with religion. Here, LGBT+ Muslims, Christians and Jews describe their relationship between their sexuality and faith. Dr. Scott Siraj al-Haqq Kugle’s demonstrates that homophobia has little basis in the Quran. Imam Daayiee Abdullah has created a lecture series on the LGBT+ community and Islam. The Advocate showcases over 20 LGBT+ Muslim activists. Imaam is a UK-based advocacy group for LGBT+ Muslims. If you want to make a concrete impact upon the lives of the gay Chechen men that have been targeted by these homophobic crimes, or receive current information about this crisis, you can donate to and visit the Russian LGBT+ Network. 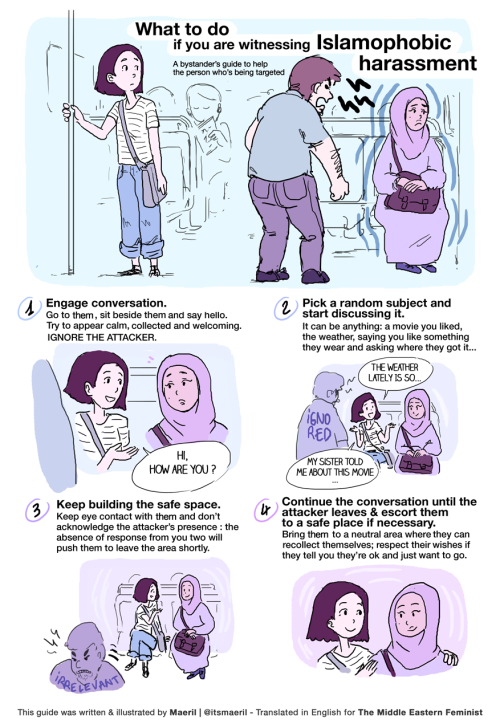 Illustrator and filmmaker Maeril created a webcomic that explains how bystanders can respond to Islamophobic acts. Additionally, you can contact your political representatives and demand that they push for these gay and bisexual men seeking refuge to be given visas. PK Sparkxx DatHotneSS regularly releases quality Nintendo content. I’m loving his Zelda: Breath of the Wild playthrough. Basement Pretzel is a relatively new channel that makes gaming-themed comedy shorts. Black Essence does great Sims 4 playthroughs, and also shouts-out other female gamers of colour. MasaeAnela‘s vintage Nintendo playthroughs are fun and entertaining. Right now, I’m watching her Legend of Zelda: The Minish Cap let’s play! Check out Geeks of Color for more. Kat Blaque is a children’s illustrator, activist, and queen of true tea. She makes incredibly topical, informative, well-researched videos as well as more informal advice, and vlogs. Looking to jump in? I recommend her video on Lady Gaga’s superbowl performance. Franchesca Leigh is an activist, podcaster, and co-host of MTV’s decoded. Morgan Howard is a documentarian that specialises in Native American cultures and histories. 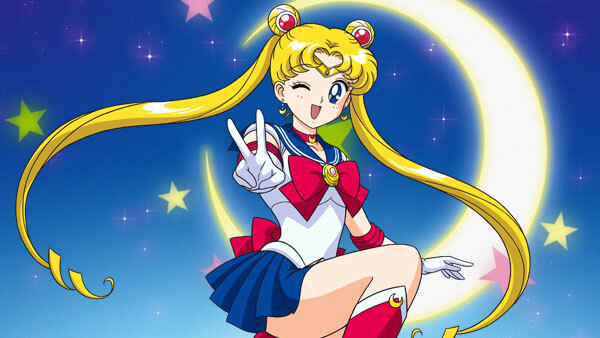 Sensei Aishitemasu (aka Seren), previously mentioned in my Lemonade reader makes free-form vlogs, reviews, and opinion pieces. Marinashutup is a bisexual woman of colour that covers a wide range of topics, including the LGBT+ community, menstruation, and her love for Kristen Stewart. Angryhijabi is a young Muslim woman with a healthy hatred for Trump. She was interviewed by PogieJoe to discuss misconceptions about Muslims. She’s also on Facebook! Philogynoir is dedicated to uplifting fellow black women. Jackie Aina is one of my favourite youtubers at the moment. She’s always doing the most gorgeous things with her eyeshadow, and spilling the tea on sponsored videos. Karen O does makeup looks and always has a new take on the latest fashion trends. Lizzie Loves does simple but beautiful makeup routines, and the most incredible wig reviews. Junie’s tutorials cover makeup basics, and she also does really cute makeup looks. Guy Tang is a hairstylist that consistently uploads his amazing dye work – and if you’re lucky, videos of his sweet Pekingese! Meghal and Natasha are twins that are constantly pushing the envelope with their makeup looks. One of my favourites is their Liner 4 ways tutorial. The Tassel Fairy is famed for her fun, quirky style. The Pastels is an Australian-based beauty channel that covers makeup tutorials, routines, and vlogs. Celia Leslie‘s makeup looks are amazing, and occasionally does wig reviews. Sitting pretty Lolo is a black physically disabled woman that documents her life. Also – need a wheelchair review? She’s got you. TheThirdPew is an Ethiopian-American vlogger and comic. Akilah, Obviously! features great sketches, and regularly reminds us of the hellscape that is Trump’s America. Ari Fitz is a black lesbian model, and uploads vlogs every single day. Rian Phin does relaxed vlogs, GRWMs, and occasional review. Domo and Chrissy are a lesbian couple with a newborn son (congratulations!!!) that document their lives on Youtube. Miles Jai vlogs, does comedy sketches, and unboxings, and videos on K-pop. April Bee does tutorials on natural hair, and also does the most amazing furniture makeovers! treshaja regularly uploads affordable furniture DIYs. A final special thank you to these blogs that put me onto some of these youtubers! Edit 25/05/17: I’ve decided I’ll intermittently add Youtubers of colour whose content I enjoy so this article can remain current!